My desktop has been changed to text that tells me, "Warning: Spyware threat has been detected on your PC." It also provides a link that, when clicked, opens an IE window telling me to buy Anti-Spyware software. The associated address is www.antispywareupdates.net. Also, in my system tray on my tool bar, a yellow triangle with an exclamation point pops up warnings tell me that my computer has detected spyware and that I should click on the pop-up to scan it. O4 - HKLM\..\Run: [AirPort Base Station Agent] "C:\Program Files\AirPort\APAgent.exe"
O4 - HKLM\..\Run: [kxibmrev] regsvr32 /u "C:\Documents and Settings\All Users\Application Data\kxibmrev.dll"
It appears that maybe you have some leftovers from Norton. Please uninstall anything in the Control Panel that says Norton. Cpqset = C:\Program Files\HPQ\Default Settings\cpqset.exe????????8?2?0?5??????? ???B???????????????B? ?????? A malicious .DLL file is disrupting the LSP chain on your computer. We need to get rid of it. Please download LSPFix from here. Run the LSPFix.exe that you have just finished downloading. Check the I know what I'm doing box. In the Keep box you should see one or more instances of worsock.dll. 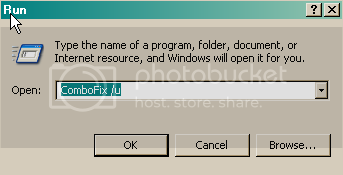 Select every instance of worsock.dll and move each one to the Remove box by clicking the >> button. When you are done click Finish>>. After that please re-open Hijackthis and click on "Do a system scan only"
P.S. : The desktop background has disappeared, along with the annoying pop-up producer in the system tray! Looks like a good sign! You still have 2 antivirus programs running. If you are wanting to keep Norton then please uninstall AVast. As long as you only have one. Save it to a convenient location. Post the contents of the TotalScan report and a new Hijackthis log. Registry key HKEY_LOCAL_MACHINE\SYSTEM\CurrentControlSet\Services\4fdw\\ deleted successfully.